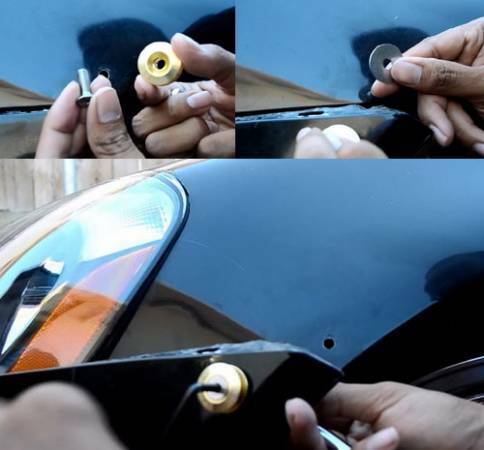 The quick bumper release fasteners are great for front and rear bumpers that you frequently remove or need to reinstall quickly. It's great for those who frequently go off-roading and allows for quick and painless removal. 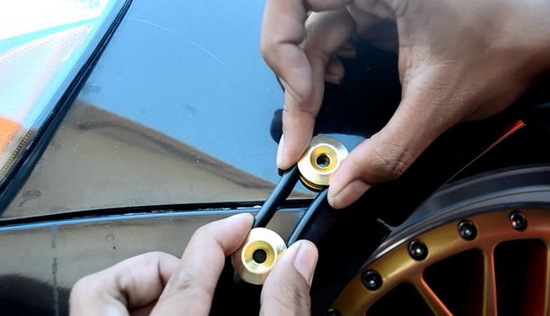 This guide will demonstrate how to install a quick bumper release on your vehicle in no time. The quick bumper release set comes with powder-coated anodized finish aluminum quick release fasteners, steel washes, steel locking nuts, and O-rings. 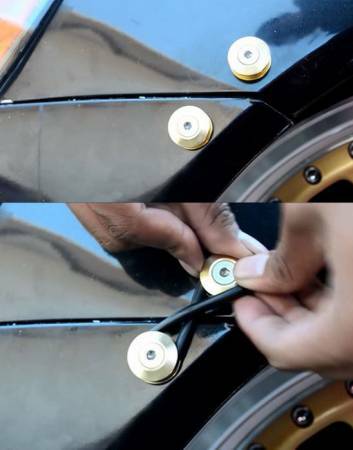 Mark the spot where you want to install this quick bumper release. Drill the hole. It?s easier for the bumper since it?s plastic; however, for the fender, you definitely will need a drill to poke through. Now we are going to install the aluminum knot. The washer needs to be put on the other side of the bumper/fender and you will need a hex key with a wrench to fasten them together. After you have done this, you can mount it back with a rubber band. The rubber band can either be used conventionally or crossed, with the same results. As you can see, the directions are photos are pretty straightforward showing that the installation is fairly quick and easy. Adding accessories and gadgets are simple and quite fun. Enjoy your newly installed quick bumper release and happy off-roading! Special thanks to SunnyDope for providing the photos for this installation guide. 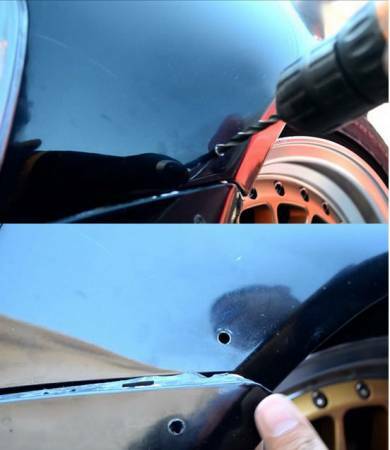 Nice article and I like the way you have illustrated the entire steps to replace <a rel="nofollow" href="http://www.iautobodyparts.com/bumpers_components-catalog/">car bumper</a>. It is an essential part and plays vital role in terms of safety. A bumper sustains the low intensity collision impact so that other parts of car stay safe.